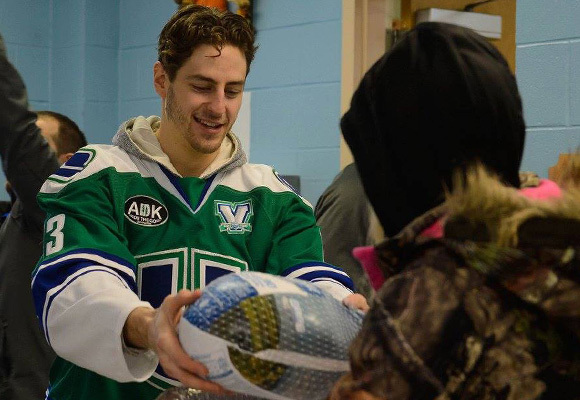 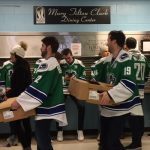 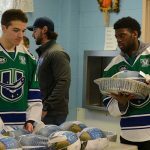 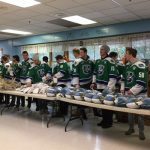 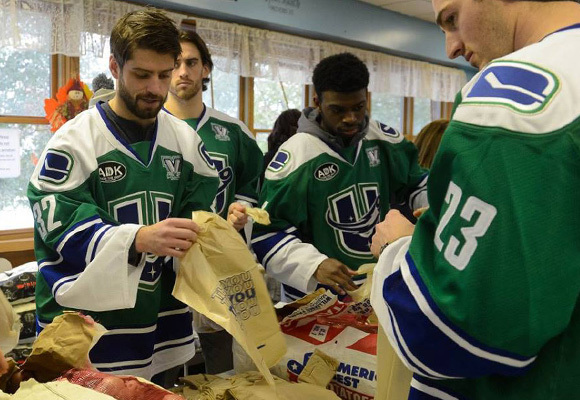 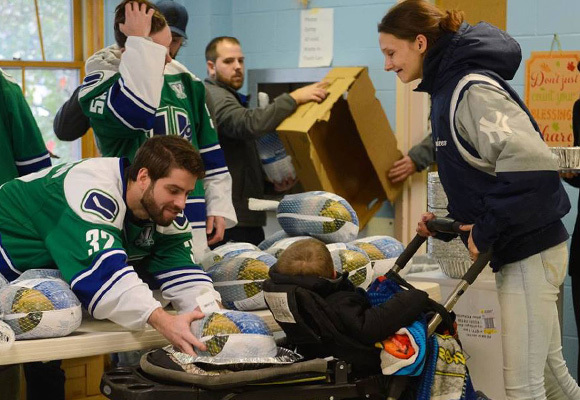 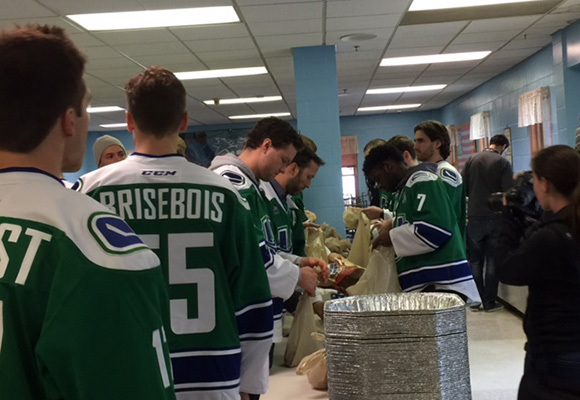 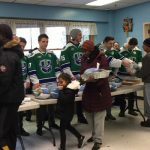 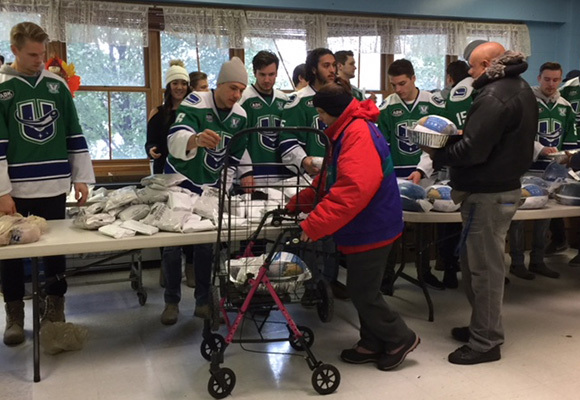 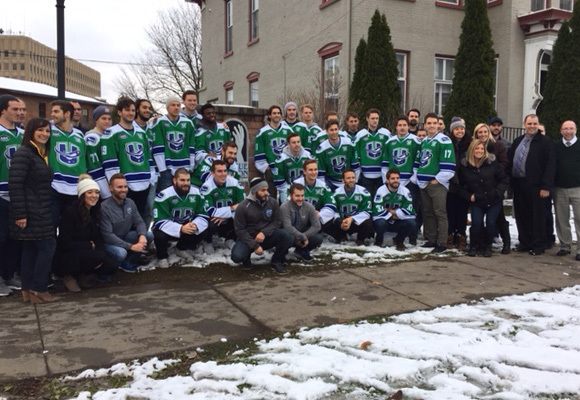 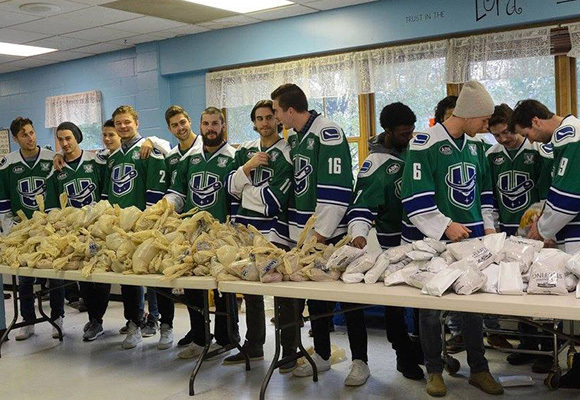 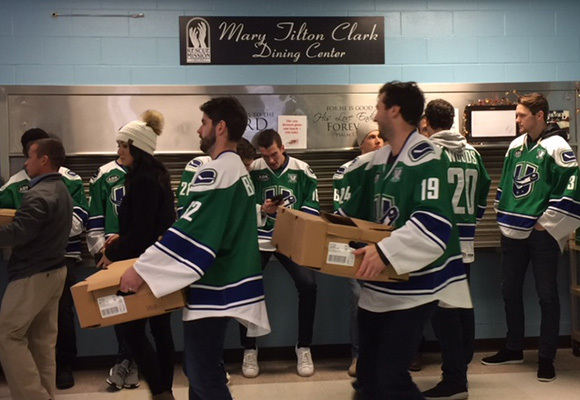 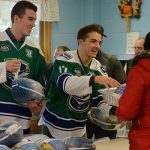 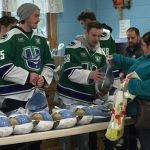 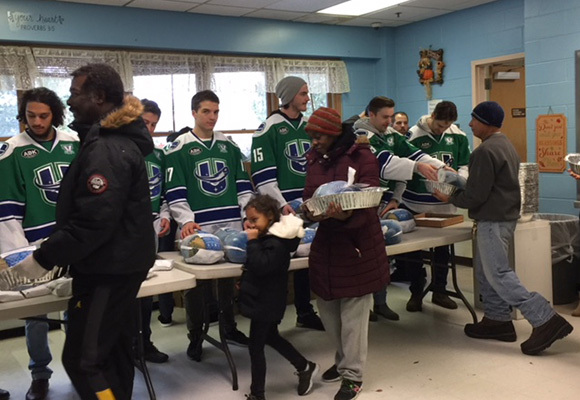 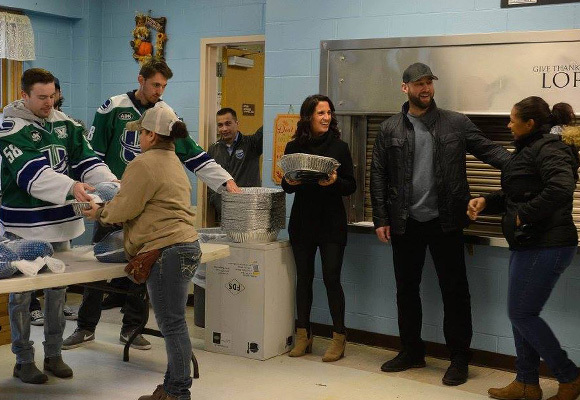 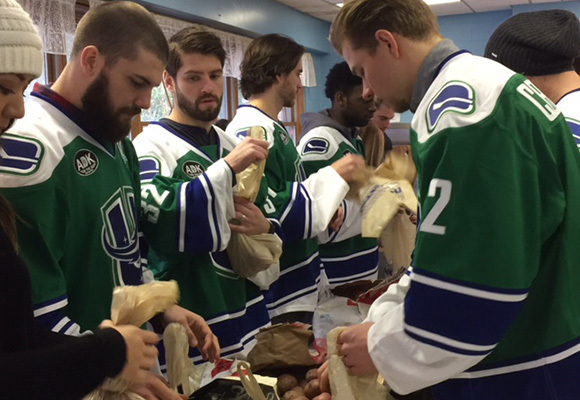 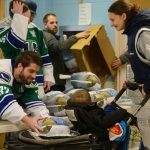 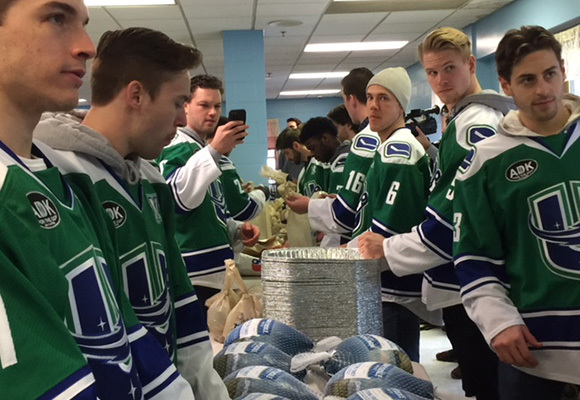 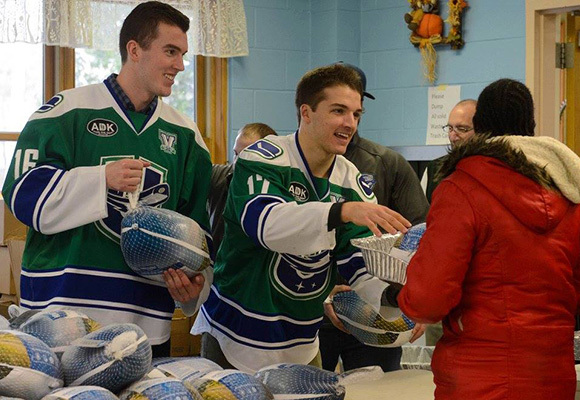 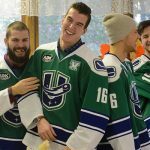 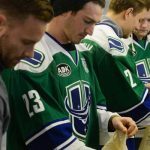 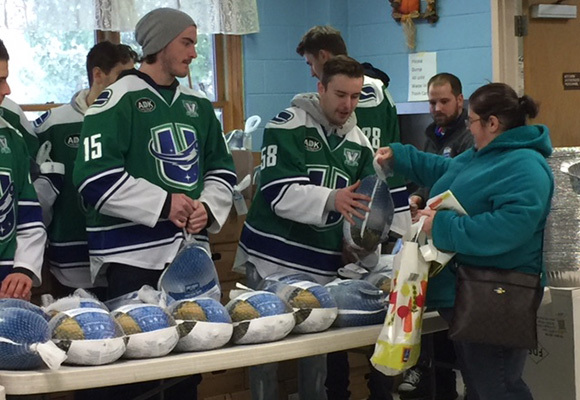 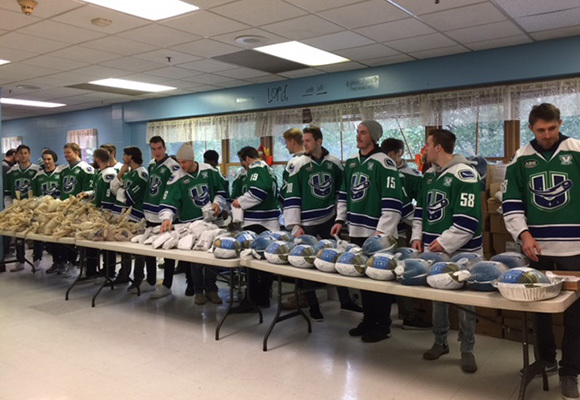 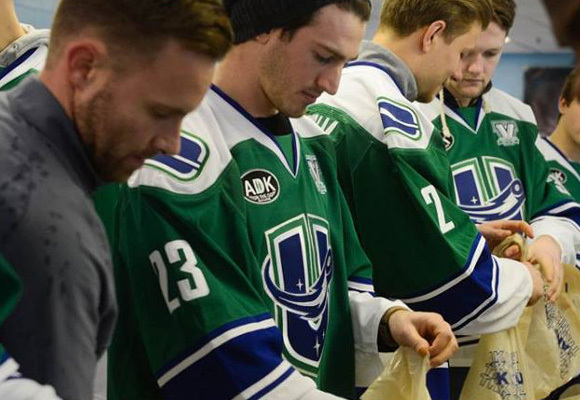 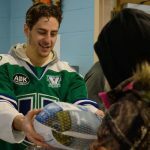 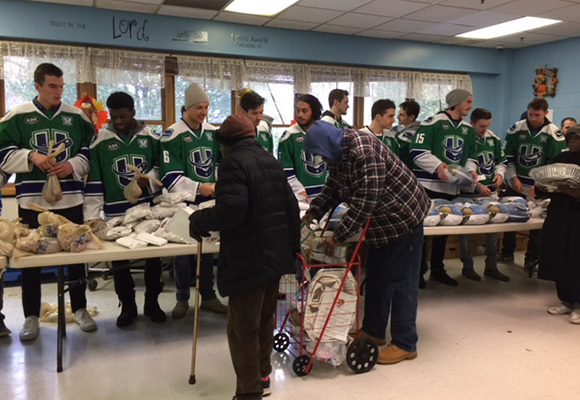 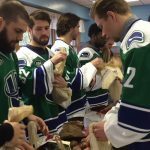 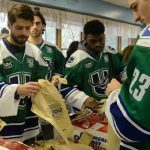 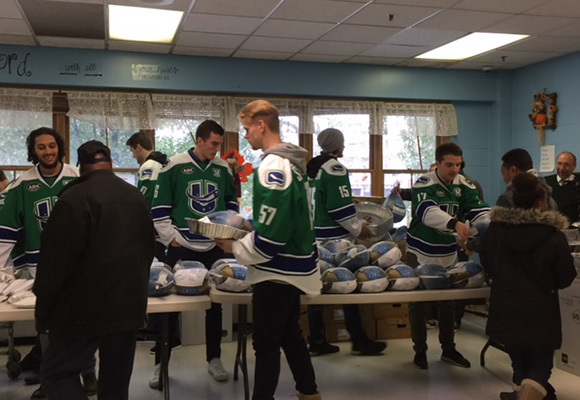 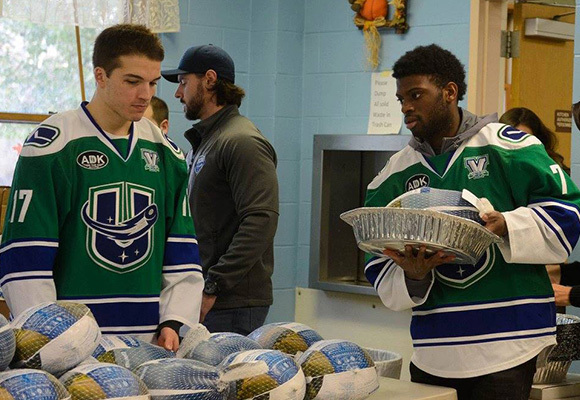 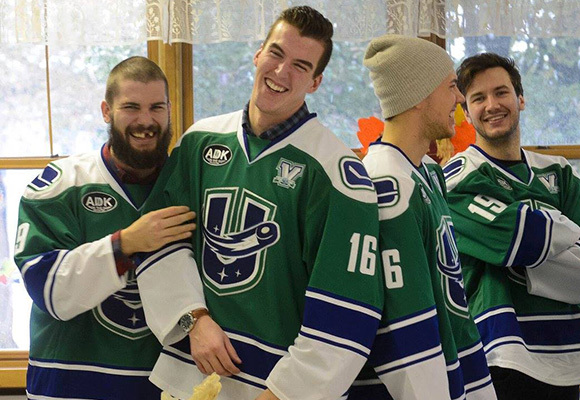 Special thanks to the Utica Comets for coming to the Rescue Mission with their generous donation of turkeys and cooking pans. 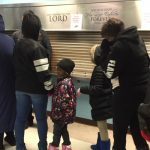 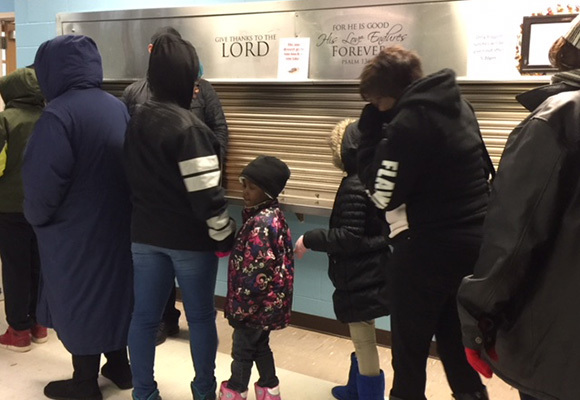 250 families received the turkeys, along with potatoes and stuffing. 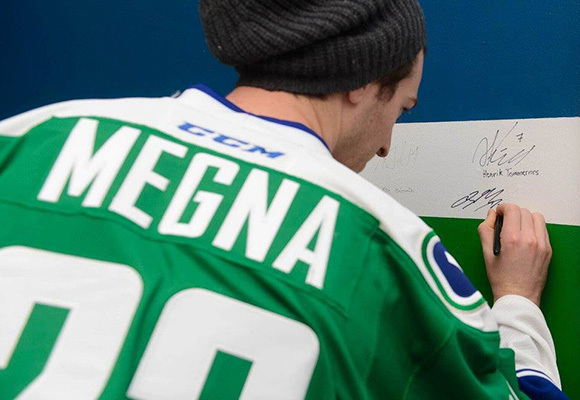 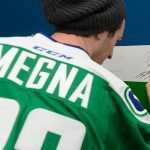 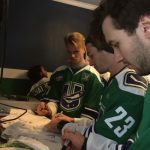 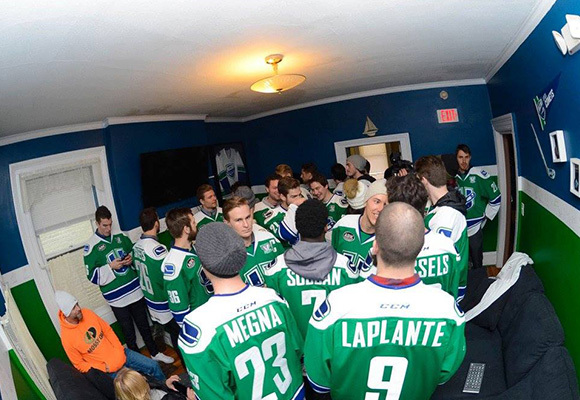 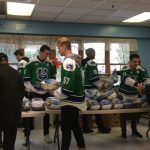 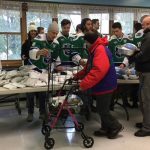 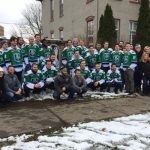 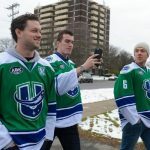 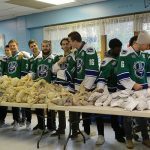 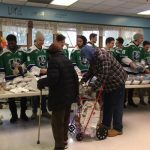 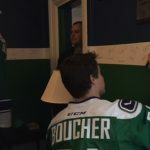 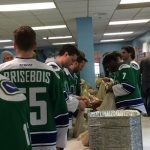 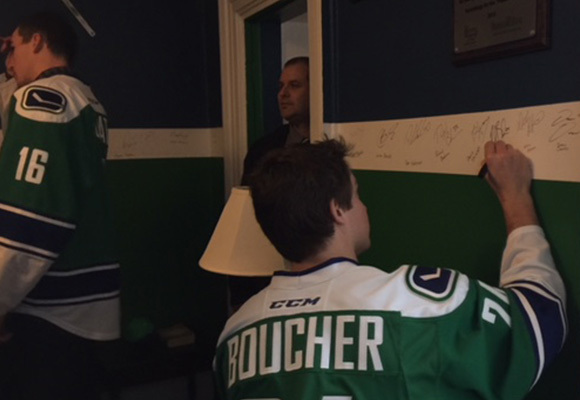 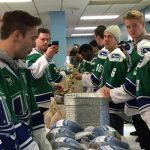 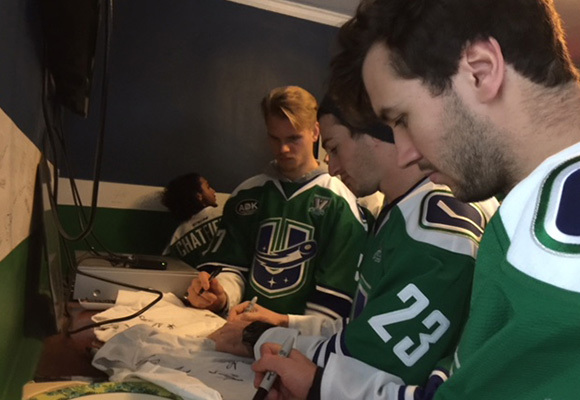 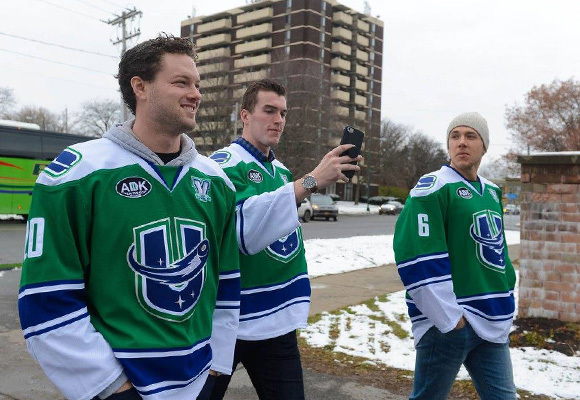 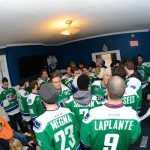 Everyone was excited to see all of the players and staff helping to pass out the turkeys followed by the teams annual signing of the “Comets Wall” in our Phase 4 Residential House.